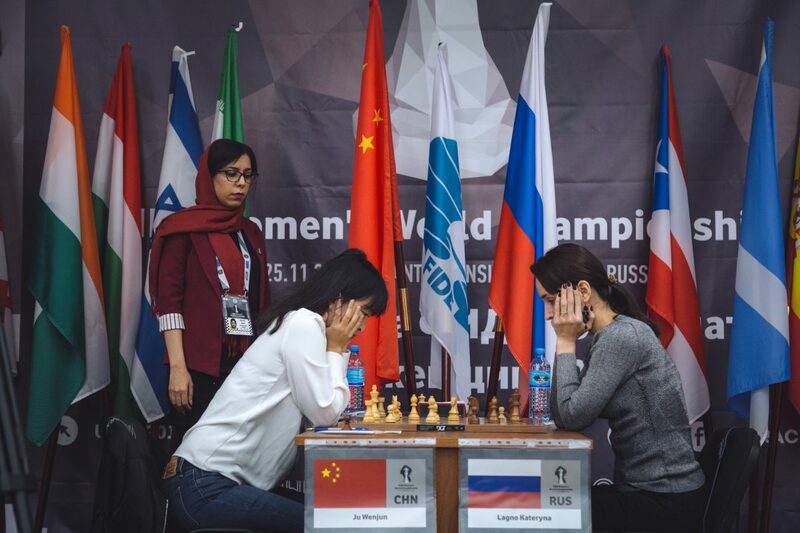 The third game of the final match between Ju Wenjun and Kateryna Lagno was played on November 21. The defending champion had White. It was a sharp battle in the Benoni Defense. White sacrificed a pawn and was ready to sacrifice an exchange for Black’s dark-squared bishop. 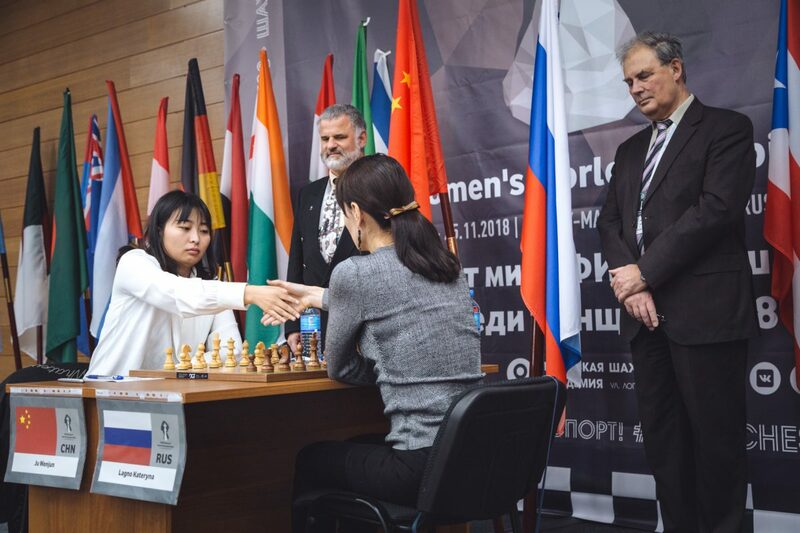 In the opening Ju Wenjun acted considerably quicker than her opponent. White got excellent compensation for the pawn and seized the initiative. On the move 16 Lagno opted for a very sharp pawn push, creating serious complications. Her opponent began to tank, calculating countless variations, and soon the players were even on the clock. 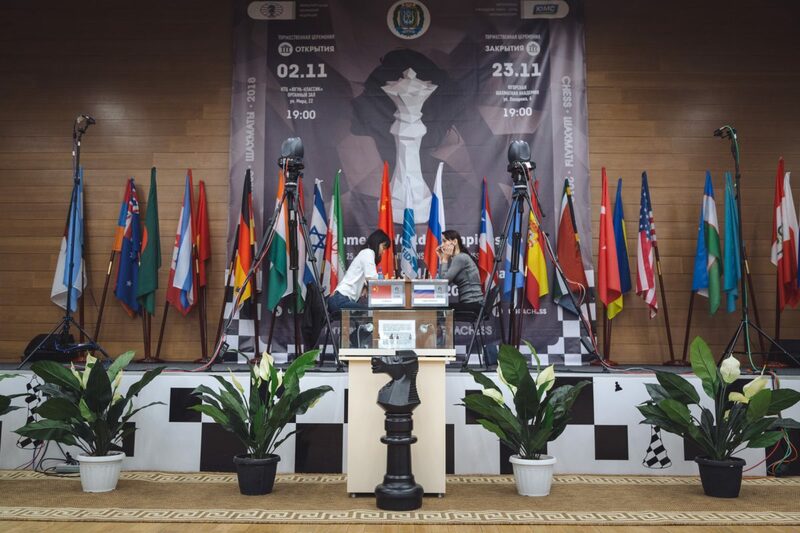 Black made a serious mistake at some point, but White missed the most principled reply, opting for a safer approach. The players ended up in a mutual time trouble, which led to an imperfect play from both sides. Black should have avoided trading her central knight, which would give her good chances to equalize. Soon the position with queens, rooks, and opposite-colored bishops emerged. The match score is 2-1 in Kateryna Lagno’s favor.